Venom is Sony’s first attempt to expand on their Spider-Man brand since Marvel took over production on the solo Spider-Man feature films. The Venom symbiote was created in the comics by Randy Schueller, David Michelinie, Mike Zeck and Todd McFarlane back in The Amazing Spider-Man #300 (May 1988). The character was meant to be an expansion on the powers, and the dark side of Peter Parker. Ultimately, its fell into the hands of Peter’s rival photojournalist Eddie Brock who was completely consumed by the inhumanity of the alien goo. In the film, Tom Hardy’s Eddie Brock appears to unwittingly gets infected by at least part of the alien symbiote known as Venom. The symbiote apparently comes to Earth after the crash of a spacecraft as we can see in the trailer. The rest of the symbiote then falls into the hands of Riz Ahmed‘s character (possibly Cletus Kasady/Carnage), and based on the alleged storyline of some of the comics, likely gets infected himself along with others who become the five symbiotes: Phage, Agony, Scream, Riot and Lasher. The film’s source material may suggest that we get a more heroic version of the Venom symbiote then what we’ve seen in the comics. At one point in the comics, Eddie and Venom become Agent Venom and join the Avengers. This movie surely won’t go that far, but may center around Eddie’s fight to remain in control of the symbiote and his humanity. Michelle Williams appears to be that connection Eddie needs in a love interest. Sony is making a serious play at expanding the Spider-Man brand beyond the wall-crawler, but is hamstrung by their inability to put their hero in the film. Rumors are swirling that we will see some version of Spidey in Venom, but likely no mention of Peter Parker as played by Tom Holland. 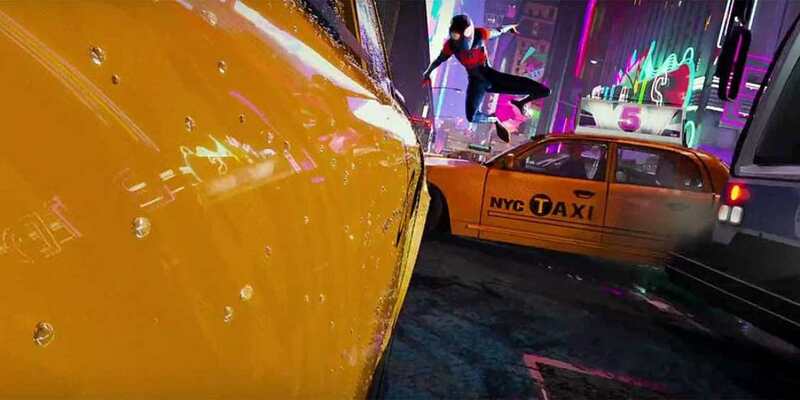 The Expanded Spider-verse will start with Venom in October of 2018, and the animated Spider-Man: Into the Spider-verse starring Miles Morales (Shameik Moore) in December 2018. Then they will continue with Silver & Black, a team-up of Spider-Man anti-heroes Silver Sable and Black Cat, and directed by Gina Prince-Bythewood, that hits theaters in 2019.